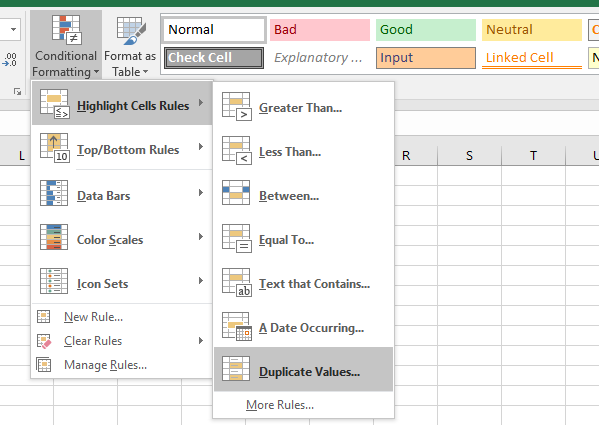 This article demonstrates how to filter records occurring in only one out of two Excel defined tables. 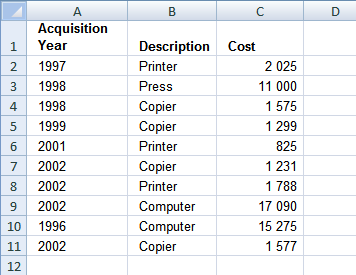 It also shows you an array formula that extracts records not shared by both data sets. 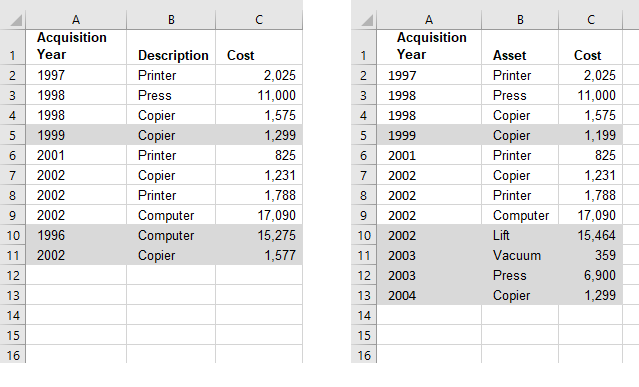 Let me demonstrate how to extract non-common records from two tables. 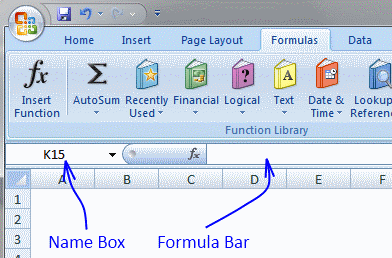 The formulas in this post contain the COUNTIFS function and were introduced in Excel 2007. 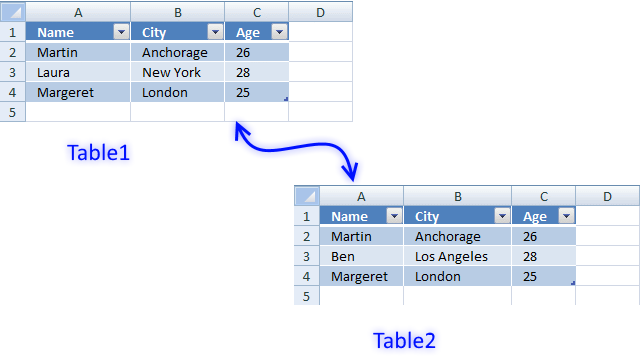 The first example shows you how to hide common rows in a table. 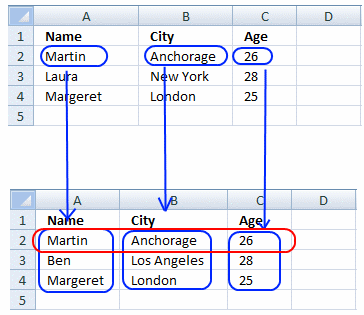 The second example describes how to compare two tables and extract not common rows/records using an array formula. Sheet 1 and sheet 2 contains random data. As you can see, row 1 and 3 are common records between the two tables. 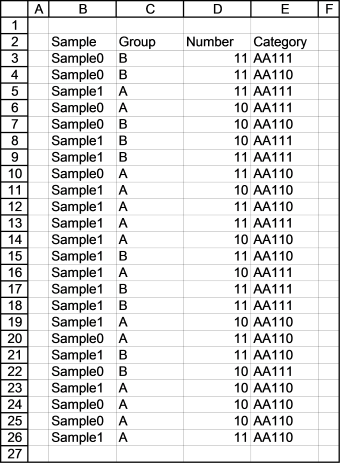 Select cell D2 in sheet1. 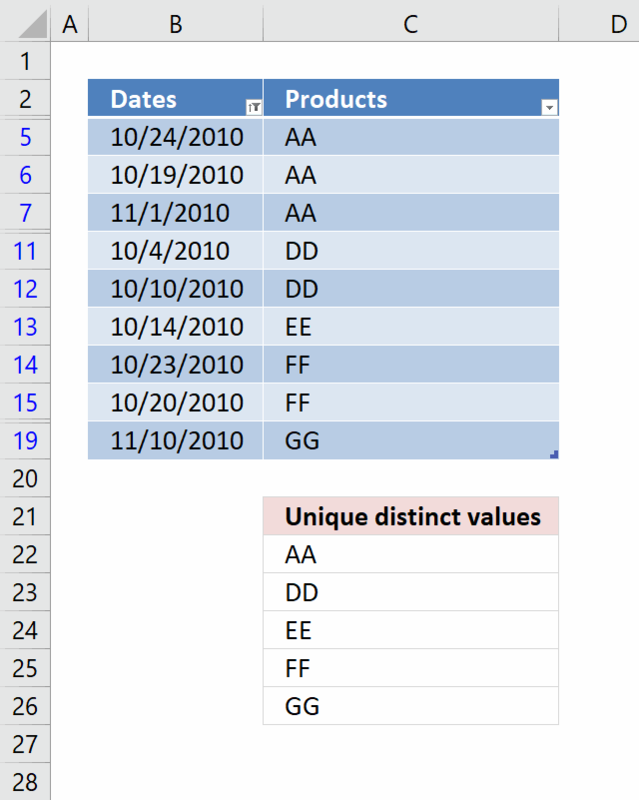 The formula is instantly copied to all table cells in column D. The countifs function counts common records from two tables. Row 2 in sheet1 is found once in sheet 2 and so on. 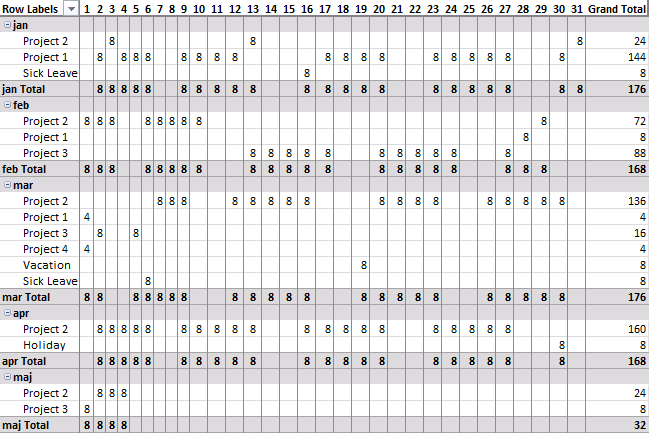 Repeat steps in Count records using COUNTIFS function and Hide common rows with sheet2. 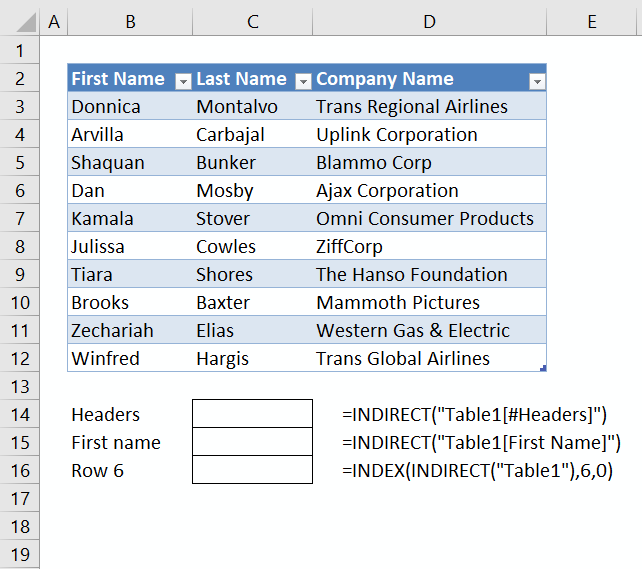 This example describes how to compare two tables and extract not common rows/records using an array formula. This array formula may look complicated but it is not. It contains two different formulas. If the first formula returns an error, the second formula is calculated. The first formula extracts not common rows from the first table. The second formula extracts not common rows from the second table. You can add a second IFERROR() function to the formula to remove #num errors. 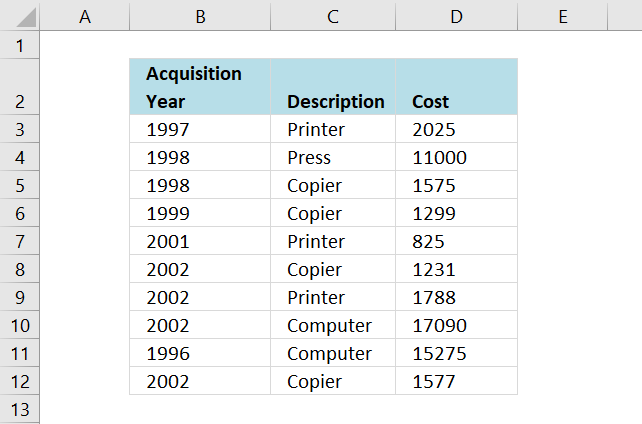 Copy (Ctrl + c) and paste (Ctrl + v) array formula into formula bar. Press and hold Ctrl + Shift. This formula is the first formula. It extracts not common rows from the first table. 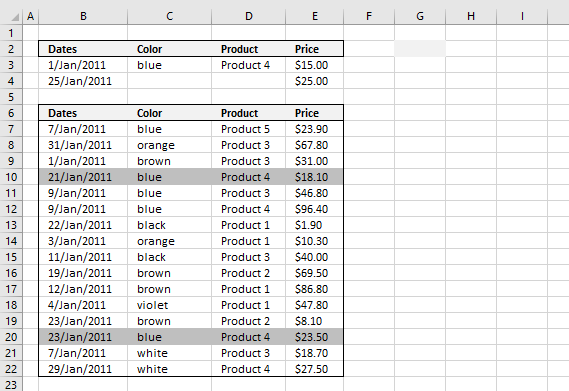 The second formula is exactly the same but cell references are pointing to the second table. SMALL(array,k) returns the k-th smallest number in this data set. and returns "Laura" in cell A2. There are two tables on this sheet. 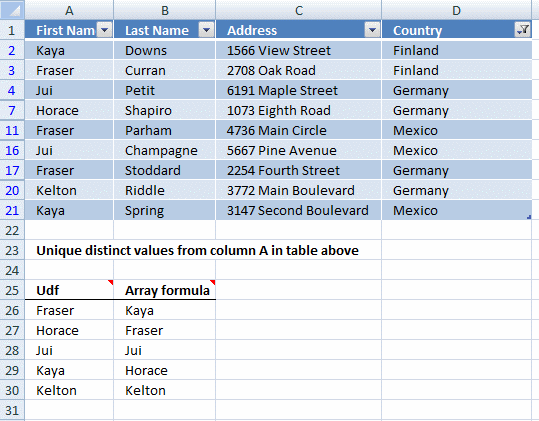 The array formula extracts common records in the two tables using a condition. There can be numerous occasions where this can be useful, for example comparing values on the same year or maybe year and month. The picture below shows common names in region Asia. There are now curly brackets surrounding the formula in the formula bar. 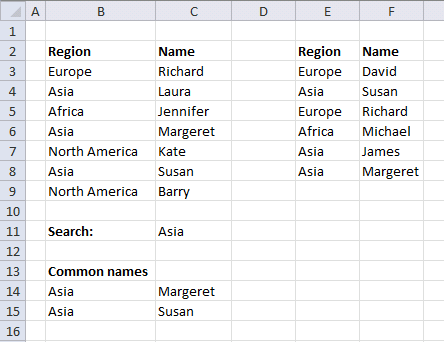 This example demonstrates how to filter not common values in region Asia using defined tables. 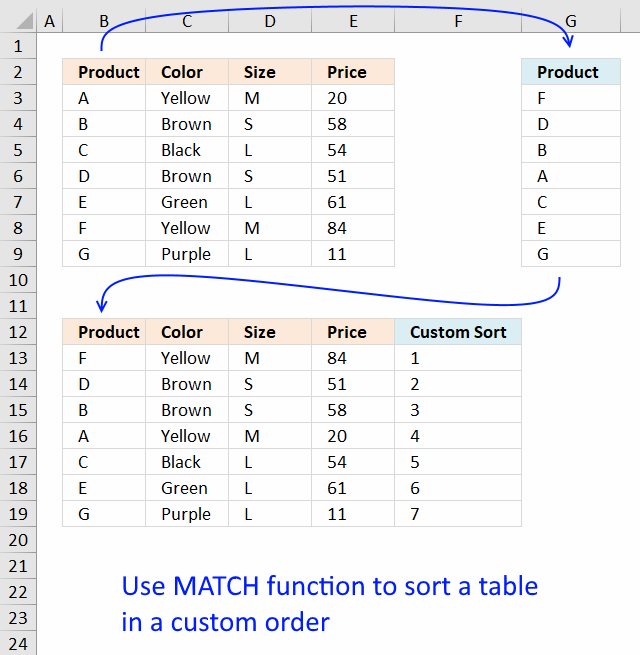 I converted the two tables to excel defined tables. 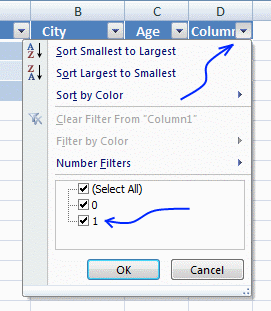 Click black arrow near header "Common"
Click black arrow near header "Region"
Deselect all values except "Asia"
This article demonstrates how to filter duplicate records using a simple formula and an Excel defined table. This is really quality info. Thanks Oscar!! Really its super. Thank you !! Example 1 was more helpful and easy way to identify common and uncommon records... This was really helpful. Thanks a lot ! 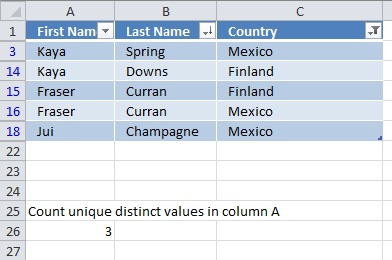 HI Oscar, I have almost similar data but in one sheet, seperate with some blank rows, i am trying to extract unique row by comparing both tables but not getting the answer. Here is th formula I am trying..